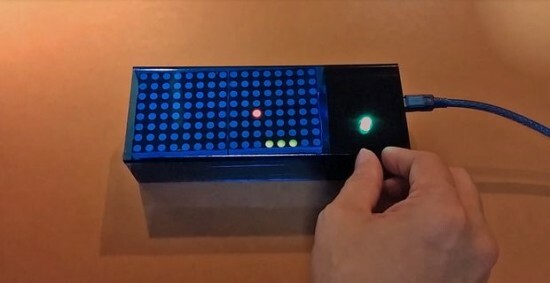 Check out this DIY LED matrix pong game, which is Arduio-controlled and uses a rotary encoder as input device and two 8×8 bi-color LED matrix boards for game display. The LED matrix displays are driven by MAX7219 chips. 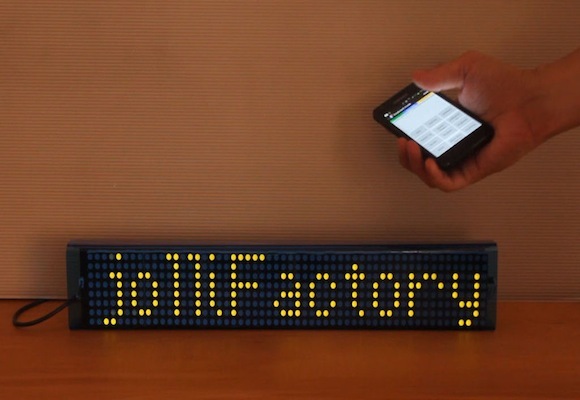 Nick Lim has posted a new project on building a simple Arduino Nano driven Tetris using two Bi-color LED Matrix Driver Modules that he has designed and is currently selling on his Tindie store named jollyFactory. These display modules use two MAX7219 chip for driving a bi-color 8×8 LED matrix and are chain-able to expand the size of the LED matrix display as required in your project. 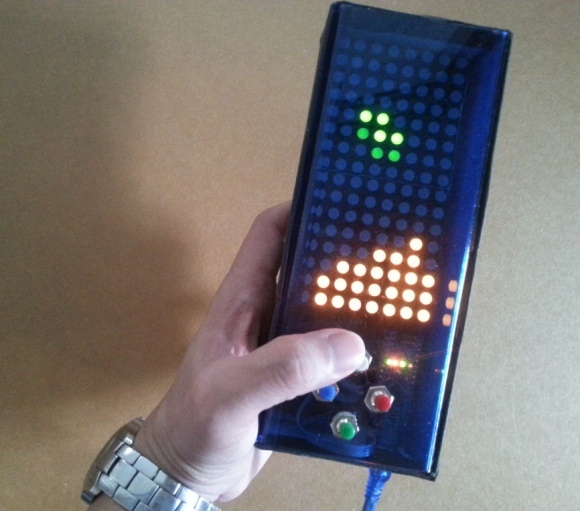 Four push switches are used in this project to provide an user interface for navigating and rotating the Tetris blocks. An 8 Ohm speaker is also used in the project to generate an audio tone during the play. 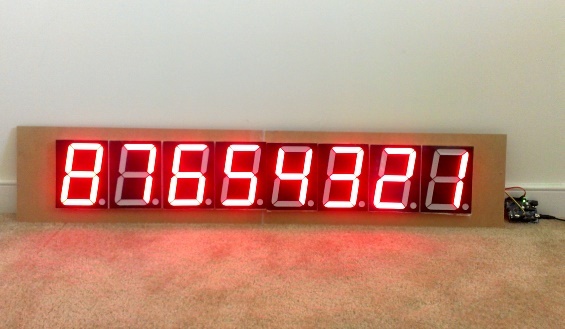 Seven segment LED displays are known to be resource and power hungry. But because they are visually so charming and readable from a far viewing distance and at a much wider viewing angle as compared to any other electronic displays, they are still hugely popular. The required number of I/O pins to drive the LED segments can be reduced significantly by using an additional dedicated hardware. 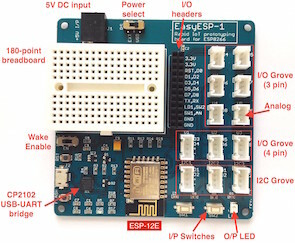 For example, the MAXIM’s MAX7219 device allows you to interface 8 pieces of seven segment LED modules using only 3 I/O pins of Arduino or any other microcontroller. You can find details on the use of MAX7219 to drive seven segment LED displays in my previous projects 4-digit serial seven segment LED display (SPI7SEGDISP4.40-1R), 8-digit serial seven segment LED display (SPI7SEGDISP8.56-1R), and double-row 4-digit seven segment LED display (SPI7SEGDISP8.56-2R). Since MAX7219 operates at 5V, its output can drive LED segments with forward voltage less than 5V. I have successfully used MAX7219 IC with 1.5″ seven segment LED modules that carry two regular LEDs in series per segment. Inside larger seven segment LED modules, the display segments are made of multiple LEDs connected in series and parallel to provide sufficient light to illuminate the segment, and as such they require a higher forward voltage and more current to operate. Recently, I have designed this display driver board that can be used as a bridge in between larger seven segment LED displays (with segment forward voltage up to 24V) and a 5V microcontroller. 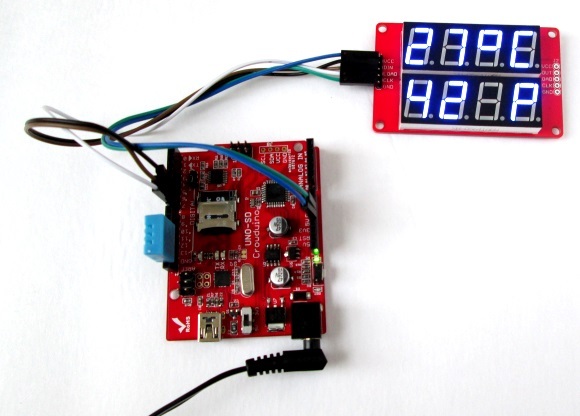 On its input side is MAX7219 which receives the display data from the host microcontroller through a 3-wire SPI bus.